I would recommend anyone who is serious about investing to have this company behind them. 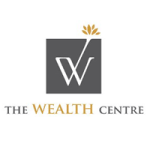 I am fortunate to have their expertise and their friendly approach to advising me on the best way to invest in becoming truly wealthy. Having access to quality investment, insurance, taxation and legal advice in one place makes so much easier rather than having things scattered all over the place. With all the advice coming from people working together the overall goal is achieved with much less stress. I would highly recommend this group of people for the way they act in a professional manner and great service. They are very helpful and they do everything that needs to be done on their end.